In the newest installment of the critically acclaimed DC SUPER HERO GIRLS comics series, the teenage superheroes face their smartest competition yet—the Metropolis High Science Fair! 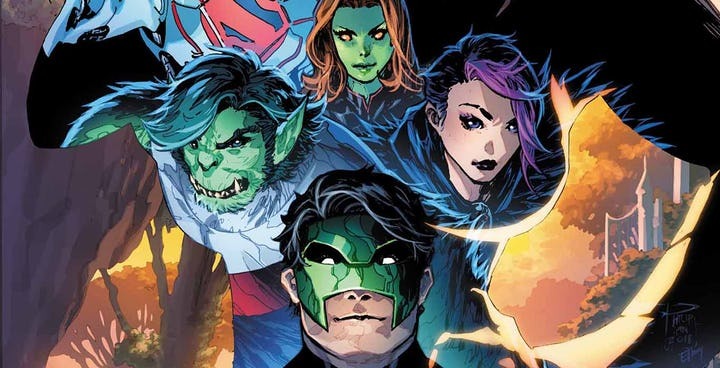 DC announced today new details surrounding its young reader imprints—DC Zoom and DC Ink—and revealed first looks at titles scheduled for release in fall 2019. The cornerstone of today’s span announcement are two new graphic novels from DC’s middle grade imprint—DC Zoom—that will debut in October 2019 and the official synopsis of Green Lantern: Legacy. DC announced today that the publisher will continue its critically acclaimed DC Super Hero Girls (DCSHG) graphic novel series with new stories told by animation and comics writer Amy Wolfram. Wolfram’s graphic novels will tell original stories starring Batgirl, Wonder Woman, Supergirl and many more popular DC characters set in the same universe as the new DC Super Hero Girls animated series created by Lauren Faust that will air Sundays at 4 p.m. ET/PT on Cartoon Network beginning March 17, 2019. DC today unveiled full story details on the landmark 1,000th issue of DETECTIVE COMICS, debuting on March 27, 2019. The 96-page DETECTIVE COMICS #1000 celebrates the Dark Knight through a series of seven-to-nine-page standalone short stories from an all-star collection of the top writers and artists in Batman’s recent history including Tom King, Tony Daniel and Joëlle Jones, Scott Snyder and Greg Capullo, Peter J. Tomasi and Doug Mahnke, Brian Michael Bendis and Alex Maleev, Warren Ellis and Becky Cloonan and more. DC is making Bendis’ and Maleev’s new story “I Know” available to read today, in its entirety for free, on DCComics.com. 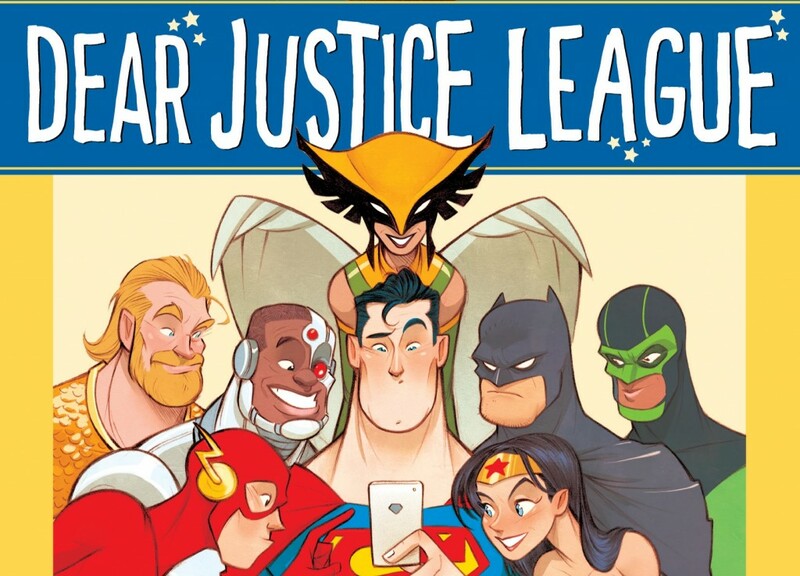 DC announced plans today to release an exclusive original comic, DC’S YEAR OF THE VILLAIN, on Wednesday, May 1, as comic book retailers nationwide prepare for Free Comic Book Day, Saturday, May 4. Available for only 25 cents, DC’S YEAR OF THE VILLAIN spotlights several of DC’s most infamous super-villains, in stories written by celebrated authors Scott Snyder (JUSTICE LEAGUE, THE BATMAN WHO LAUGHS), James Tynion IV (JUSTICE LEAGUE DARK, THE BATMAN WHO LAUGHS: THE GRIM KNIGHT) and Brian Michael Bendis (SUPERMAN, ACTION COMICS). 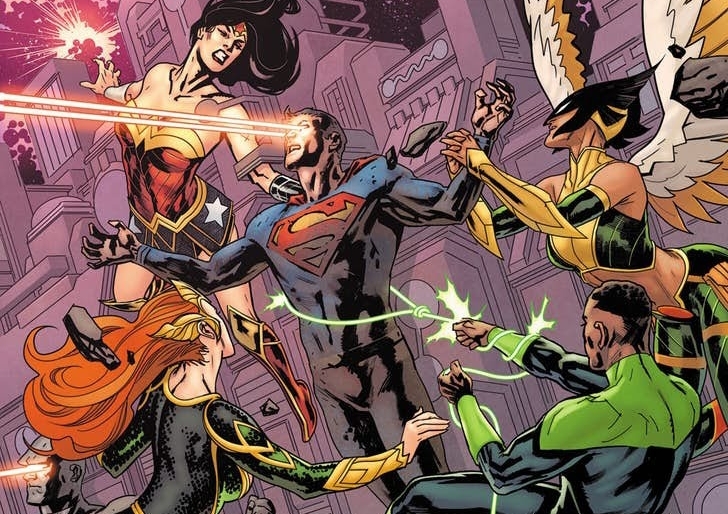 DC announced today that it is bolstering its successful relationship with Walmart by introducing new titles, increasing the publisher’s slate of 100-Page Giant comics from four to six. In addition, two titles from the original lineup will be re-titled and renumbered as #1 issues. All titles, including the SUPERMAN 100-Page Giant featuring Tom King with Andy Kubert and the BATMAN 100-Page Giant featuring Brian Michael Bendis and Nick Derington, will arrive in participating U.S. Walmart retail stores by Sunday, February 17. DC Universe announced that DC Universe Movie titles will now appear on the streaming service day-and-date with the film’s physical media release starting 2019. The details came as part of a larger press release highlighting upcoming events for the Warner Media’s DC Comics-based digital outlet. The next DC Universe Movie title, Reign of the Supermen, will be the first animated feature available the same day as its physical media release. 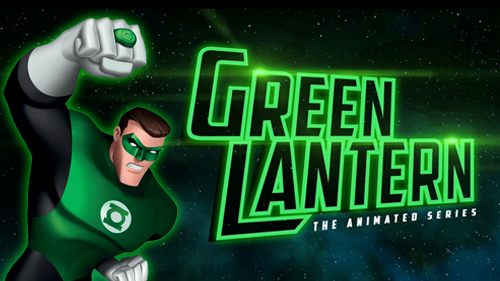 Green Lantern: The Animated Series will be hitting the platform in January 2019. Continue to our pals at WF for the full press release. Boy it’s been too long since we’ve seen you buddy! Welcome back to the DC Universe Kyle Rayner! Check him out in all his glory in the pages of Titans coming this week from Dan Abnett and Clayton Henry. Plus, former Green Lantern artist Philip Tan blesses us with a sweet variant cover. We did it! Well, we will do it. We’ll make it to January 2019 and we’ll have these awesome Green Lantern related solicitations to enjoy once we get there. Catch a glimpse of the future below!